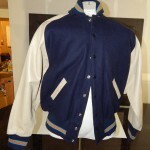 Here Is One Of Our New Letterman Varsity Jacket By RipOn Athletics (Handmade In USA). 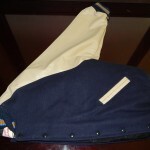 Made Of 100% Pure Melton Wool & Top Grain Leather. 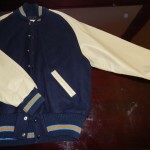 Colors Are Blue, Cream Leather with Light Blue/Gold Stripe. 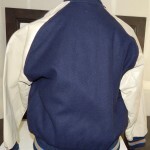 Brand: RipOn Athletic. 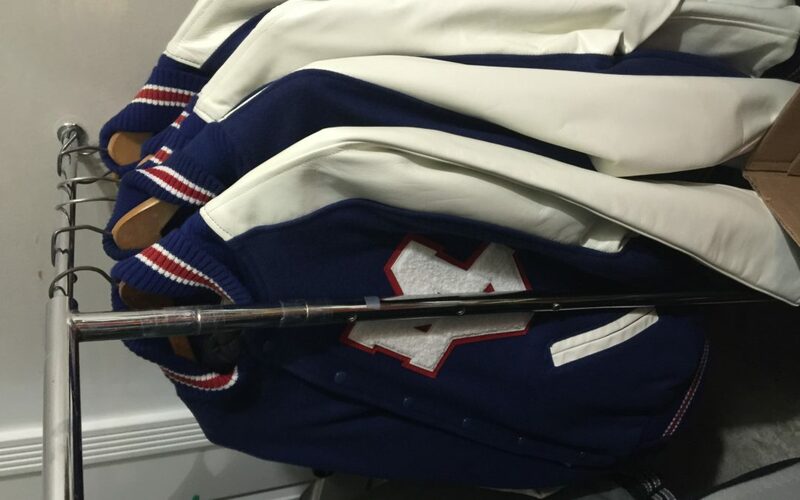 RipOn Athletic Sells Hundreds Of Thousands Of The Highest Quality Letterman Jackets Annually For Elite Sports & Academic Programs. 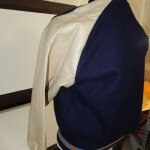 Materials: Top Grain Leather Sleeves & Pocket Welts. Full Melton Wool Body. Made In USA. 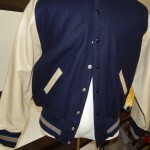 Could Be Used As An Official Letterman Jacket For Many High Schools, Colleges, Pro Team Fans With Matching Colors, Or Just A Super Nice Jacket.